For couples who do not need design services, a coordinator present at their rehearsal, and who do not want a professional planner to confirm all of your final details with your vendors; you just want somebody present on your wedding day, we offer Day Of Coordinatin. We’ll help you prepare a vendor timeline for you to distribute to your venue and vendors. We’ll help you develop a bridal party timeline to distribute to your bridal party. On your wedding day we’ll be present up to 8 hours to help you coordinate set up, troubleshoot any problems, and coordinate your bridal party and vendors throughout the day. At the end, we’ll direct vendor load out and personal items being removed by pre-determined responsible parties. Overtime will be charged at an hourly rate. Partial Planning is for couples who may have booked their venue and some of their vendors but they still need help developing a wedding design and cohesive vision, and help coordinating all of the final details with their vendors and venue. With this package, we’ll help you source additional decor, rentals, and vendors needed to make your wedding vision a reality. 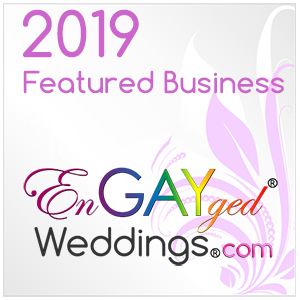 We’ll be there to review your vendor contracts, assist you with finalizing all of the details as your wedding day approaches and communicate directly with all of your vendors, and venue to develop your complete event timeline. This package includes a venue walk through meeting and ceremony rehearsal coverage (up to 1 1/2 hours). On your wedding day we’re there to coordinate from set up through load out. ** Day Of and Partial Planning Packages may require extra labor and assistants for some venues – to be quoted after your initial meeting if needed. This package is designed for busy modern couples who really need a seasoned, professional partner to help them with every aspect of planning and designing their ideal wedding from start to finish. From setting a budget and selecting venues, vendors and a design, to tracking the rsvps, coordinating your rehearsal and being there for your entire wedding day. Hire an expert, and we’ll be your organized steady guide through this entire process. Complete start to finish Wedding Planning, Design and Coordination Services are limited to no more than 5 couples per year. When we say boutique, we mean it. You will have an expert planner assisting you with absolutely every aspect of your wedding from budgeting, venue and vendor selection to design, decor, key vendor meetings, rsvp tracking. We don’t believe in doing styled shoots to fill our social feed with models and fake weddings, we only offer those design services for paying customers looking to show off their venue space, products, or services. We love to collaborate with photographers looking to design an area for mini sessions for families, seniors, or real couple portraits. We offer bridal workshops in the off season to help couples planning their own wedding. We also offer special pricing for some off season weddings or if you are eloping. Prices vary by your specific needs, our availability, and require a personalized quote. We offer a digital planning guide and getting started package with customized referrals based on your needs. We also offer one-to-one meetings for those not interested in hiring a planner or designer to be present at their wedding, rather for those needing help constructing a timeline, getting started with guidance towards the right direction, or reassurance they are on track near the end of their planning process. Click Here for more.